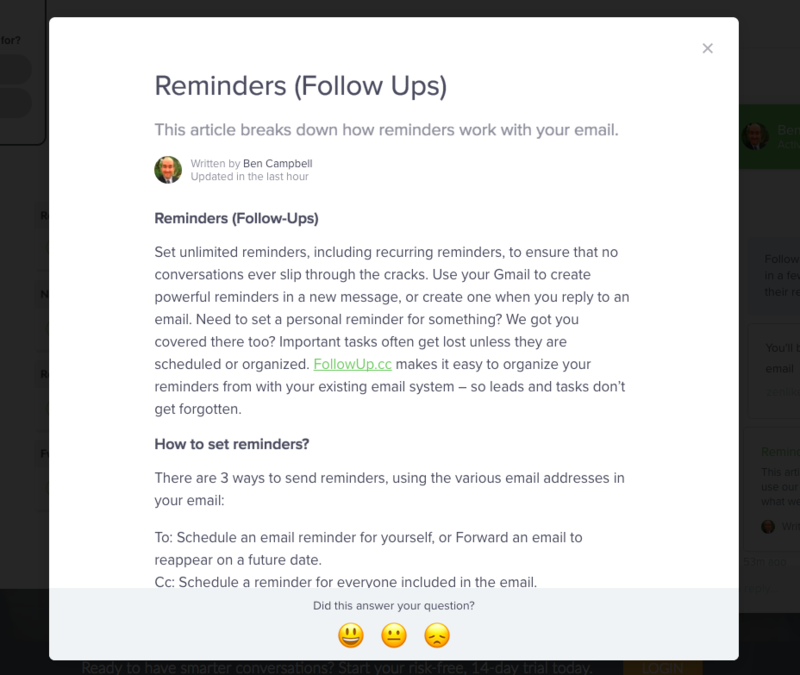 We’re powered by Intercom. Thanks to their new Educate Feature, we can better assist you! Check out their latest feature here! Support is and will always be our top priority. In an effort to always improve our support, we are creating a brand new help center, launching today! Click here to check out! The help center features new content to provide you answers when we are assisting other customers or unavailable. The great thing about these articles is they enable you to provide us real time feedback if they are helpful or not. This gives us better insights into the answers you guys are looking for, and will improve your FollowUp.cc experience. When you chat us for help, we give you easy access to articles that will help you find the exact answer you’re looking for. You can provide us feedback at the bottom of the article. If you did not find the answer you were looking for, click the far right feedback button and a new chat will open for you ask your question. Sending these help documents will further improve our support service. Overtime, the system learns what documents get sent depending on your questions, and suggest articles for the next user. For example, if you come to us and ask about using the Send Later feature, before we can answer we will suggest relevant Send Later articles for you to review. That way your day isn’t wasted waiting for us to respond in case our support is unavailable! 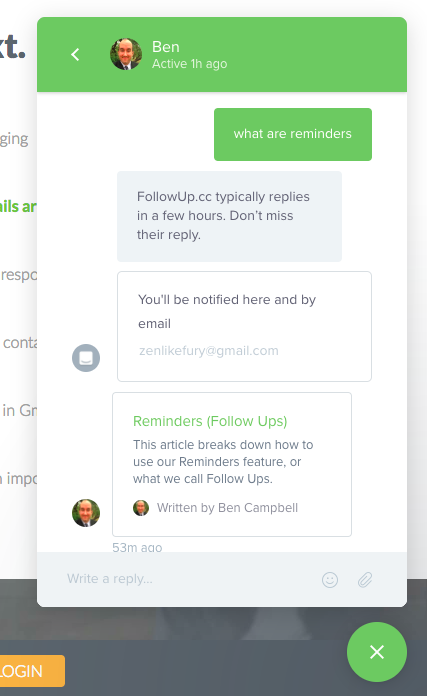 If you’re concerned realtime support (by a real person!) will no longer be available, have no fear. This is NOT the case! We will still be providing live support via chat on our page, email, and social media Monday – Friday 9am – 5pm EST. Our new effort is geared to provide more direct options when you’re looking for help. In fact, having this self help option will allow us to engage in more one on one support through calls and demos. This is a test that relies on you, our loyal users! 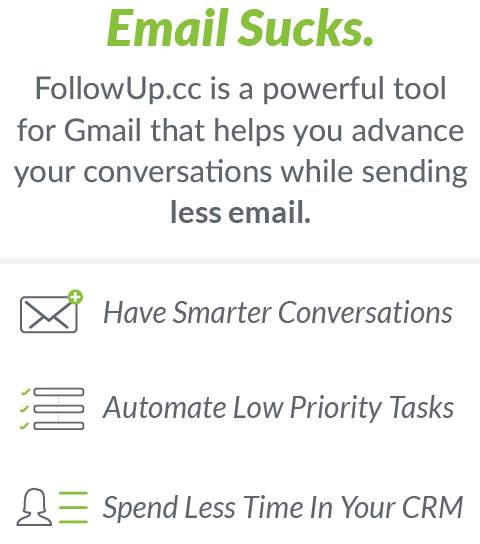 We are testing to see if this method is a viable long term option for FollowUp.cc to better assist you. 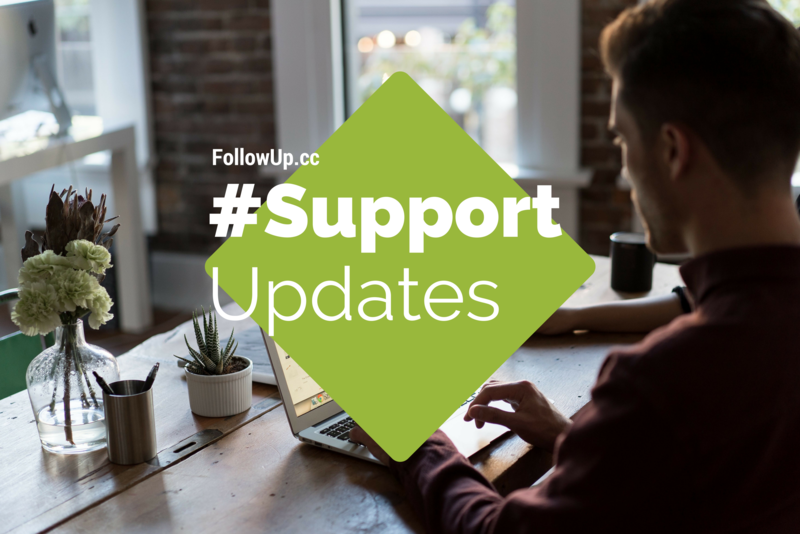 Feel free to reach out to us with your thoughts anytime by emailing support@followup.cc or tweeting at us @followupcc on Twitter about our new help documents. Check out our new help center by clicking here!